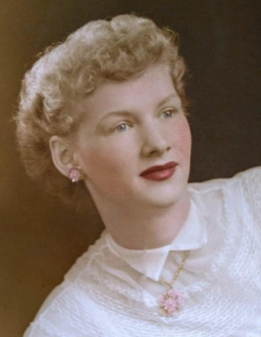 PATRICIA MARIE OTT, age 83, of Washington CH, formerly of Grove City, passed away on Sunday, April 14, 2019 at 8:59 p.m. at Court House Manor Assisted Living. She was born on January 26, 1936 in Franklin County to Homer and Marie Pierce Hall. Patricia worked at Kroger in Grove City for several years. She enjoyed dancing, cruising the seas, and being with her family. Patricia was preceded in death by her parents; her first husband, Kenneth Jones; and her second husband, Dale Ott. Survivors include her children, Terry (Bonnie) Jones, Susan Patterson, Tambra (Ted) Taylor, Casey Jones and his special friend, Lynne, and Stephen (Carol) Ott; thirteen grandchildren; and fifteen great-grandchildren. A graveside service will be held at the Bloomingburg Cemetery at a later date at the convenience of the family. In keeping with her wishes, cremation has taken place.